11 members of the Purple Aces Class of 2017 have now accepted offers to play college basketball. This summer Green Bay East wing Ja'Staria Brantley decided to accept an invitation from Carroll University (NCAA DIII) to continue her education and join the Pioneers basketball program. In April, Green Bay N.E.W. Lutheran guard Morgan Meerstein has decided to attend the University of Dubuque (NCAA DIII) and accepted an invitation to play basketball. Ashwaubenon guard Mya Whiters will continue her basketball career at UW-Waukesha while Ashwaubenon post Kennedy Hauser will continue her academic pursuits at UW-Whitewater where she will also run cross country. Jenny Krueger of Oconto Falls has accepted a scholarship offer to Clarke University (NAIA). Bonduel seniors Emily and Hayley Sorenson also announced their college intentions in February as they plan to attend Rock Valley College in this coming Fall. Rock Valley has won 3 of the last 5 NJCAA DIII National Championships. Three of our seniors signed Letters of Intent last Fall. Wrightstown seniors Alisha Murphy (UW-Parkside) and Danielle Nennig (Purdue-Northwest) along with Wausau West senior Caitlin Deaton (Regis) plan to continue their education and basketball careers at the NCAA Division II colleges. Hannah Stefaniak (West De Pere) committed to UW-Oshkosh (NCAA D-III) in December while Katelyn Morgan (Notre Dame) secured a college roster spot when she committed to UW-Eau Claire (NCAA D-III) in January. 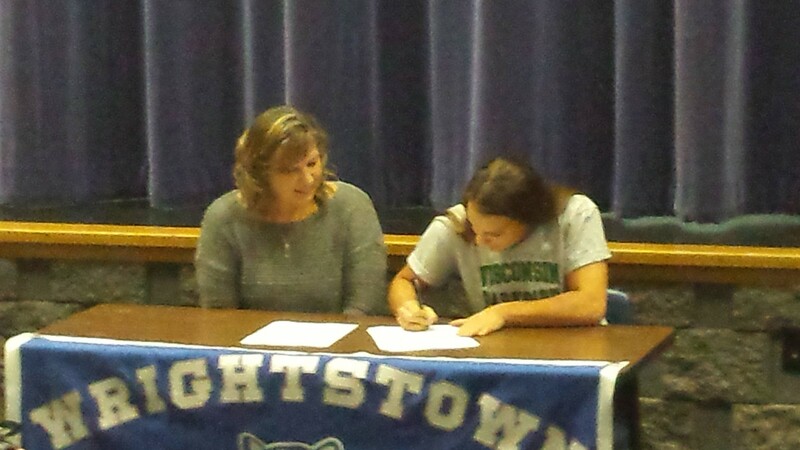 Alisha Murphy - The Wrightstown guard has accepted and signed a letter of intent for a basketball scholarship offer from UW-Parkside. Alish is the third Purple Aces player from the Class of 2017 to accept an NCAA DII scholarship offer. 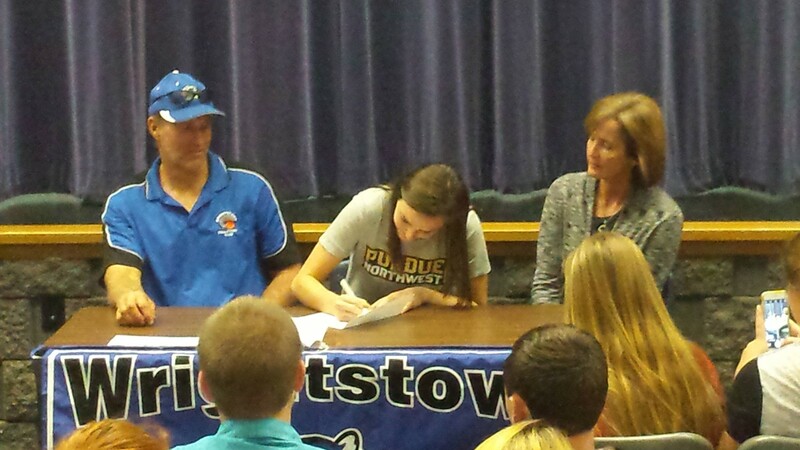 She started with our program in 6th grade. 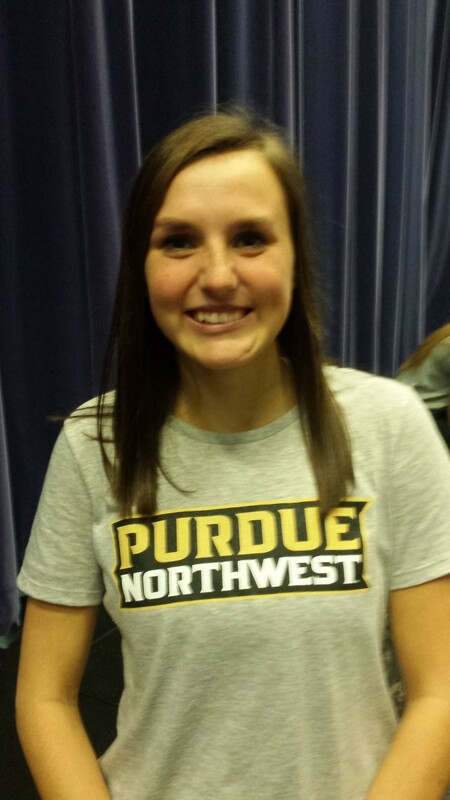 Danielle Nennig - The Wrightstown guard has accepted and signed a letter of intent for a scholarship offer and has committed to play basketball at Purdue University Northwest (IN). PNW will become an NCAA Dll member starting in 2017-18. Caitlin Deaton - The Wausau West guard has accepted and signed a letter of intent for a scholarship offer and committed to play basketball at NCAA DII Regis University (CO). Hannah Stefaniak - The West De Pere forward has accepted an invitation to play for Brad Fischer and UW-Oshkosh from the WIAC (NCAA DIII). Emily Sorenson - The Bonduel guard has accepted an invitation to continue her basketball career for Head Coach Misty Opat at Rock Valley College in Rockford, Illinois (NJCAA DIII). Hayley Sorenson - The Bonduel forward has accepted an invitation to continue her basketball career for Head Coach Misty Opat at Rock Valley College in Rockford, Illinois (NJCAA DIII). Jenny Krueger - The Oconto Falls post player accepted a scholarship offer to continue her career for Coach Don Adams at Clarke University in Dubuque, Iowa (NAIA). ​Morgan Meerstein - The Green Bay N.E.W. Lutheran guard accepted an invitation to continue her basketball career at the University of Dubuque, IA (NCAA DIII) under Head Coach Mark Noll. Mya Whiters - The Ashwaubenon guard accepted an invitation to continue her basketball career at the UW-Waukesha under Head Coach David Beebe. 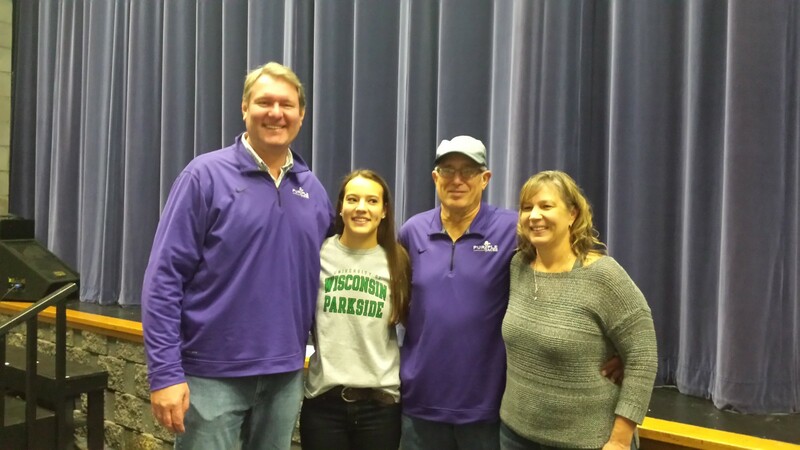 ​Kennedy Hauser - The Ashwaubenon post has decided to attend UW-Whitewater (NCAA DIII) where she plans to run for the cross country team. ​Ja'Staria Brantley - The Green Bay East wing has accepted an invitation to play basketball at Carroll University under Head Coach Lindsay Schultz. ​Congratulations to the young women of this Purple Aces class of 2017. We are all very proud of you.